This is the best Dental Group I have ever been to! They care, knowledge share and have meticulous attention to detail.I was intending to purchase an online smile correction option and mentioned it in passing during a visit. After a consultation and comparative review I learned I would be making a mistake not choosing them. Best decision ever, and best group ever. Highly recommend to all! This is the best Dental Group I have ever been to! They care, knowledge share and have meticulous attention to detail. I was intending to purchase an online smile correction optionand mentioned it in passing during a visit. After a consultation and comparative review I learned I would be making a mistake not choosing them. Best decision ever, and best group ever. Highly recommend to all! Dr. Karen McNeill is unparalleled in the Northwest. She has earned praise from her patients, respect from her colleagues, and attention from local media. 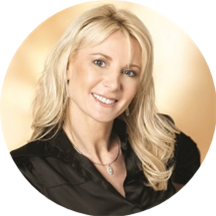 She sets herself apart from other dentists with her extensive knowledge of and expertise in cosmetic dentistry, much of which she acquired while attending the prestigious LVI Global for advanced cosmetic, neuromuscular and reconstructive dentistry. Cosmetic dentistry truly involves a balance of art and science. Dr. McNeill combines an eye for aesthetics and design with technical skill and precision to create beautiful, radiant smiles for her patients. As every patient is different, she takes pride in creating smiles that are unique and perfectly individualized for each patient. As a patient of Dr. McNeill, you can rest assured that you are entrusting the uniqueness of your smile and your oral health to one of the preeminent and highly experienced dentists in the world. LVI Global for Advanced Dental Studies – LVI Graduate – Full Accreditation. Fantastic general dentistry. It is nice to know that they are skilled in advanced dentistry. Give them a try, you wont be sorry. My smile is now great! I love it thanks to the team at Smile Artistry. I had a full mouth reconstruction with implants and it was a breeze. I look 20 years younger! I've gone to see Dr Karen for 15+ years. She is top notch. One of the most highly trained and experienced dentists around. Also she is a wonderful person.